It’s no secret that all things public — from schools and transit to housing and pensions — are under relentless attack right now. The reason is simple: from Chicago to Puerto Rico to Greece, the rich are trying to force us to foot the bill for the economic crisis they created in 2008. To this we say: not a single cut to our living standards! Illinois is not broke — tax the rich! 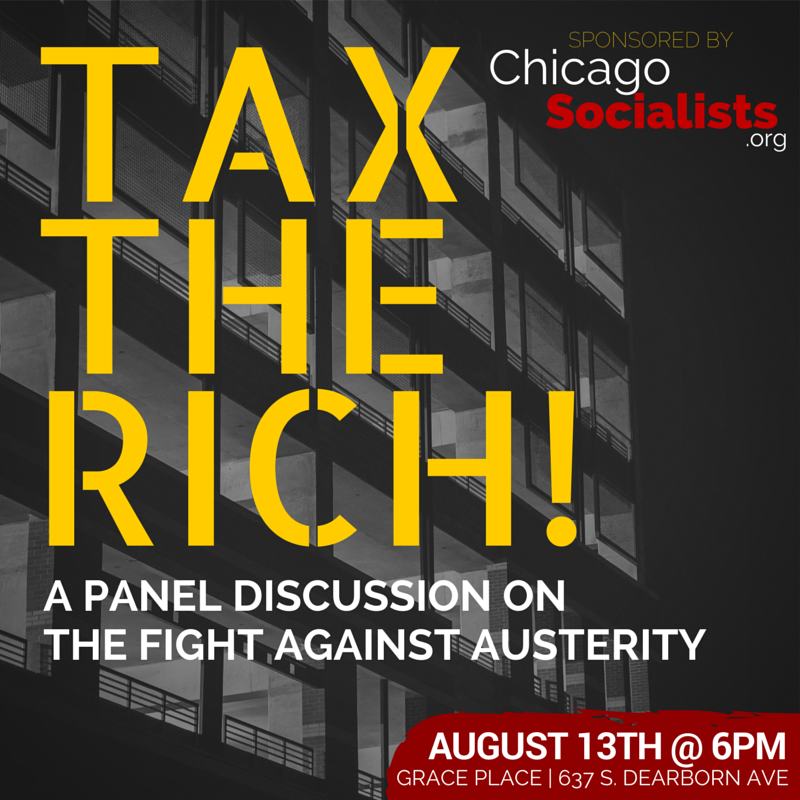 Join us for a much-needed panel discussion about the sorts of organizing we need to do to turn the tide against austerity. ← We Need a Revolution! Marxism and the Working Class.